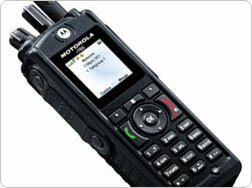 Motorola is famous for its 2-ways radios that being built specifically tailored for usage in harsh environment. Although it doesn’t seems to do well in mobile phones business in consumer market space, but its hybrid handset plus 2-ways radios function iDEN push-to-talk mobile devices continue to excel in both consumer and industrial market space. Just recently, Sprint has just announced a new Motorola iDEN based r765IS into its product lines as an additional options for selection. Similar to other models, r765IS is compliant with military MIL 810F standards which can sustain very reliable operability even in extreme environments such as long exposure to water, shock, dust as well as abnormal temperature change. Besides excellent reliability and durability, the portable device is enhanced with GPS (Global Positioning System), making it suitable to be used in any mission critical applications. Furthermore, it is supported by SOS calling mode that can be used for emergency rescue purposes. Some other advanced feature sets include the NextMail support that can convert any voicemail to be sent as email attachment for easy and convenient retrieval by designated recipients and many more. Regardless of all these great capabilities, the standby time is surprisingly long, rated at 140 hours without the need of recharging while the talk time can last for 4 hours continuously which is sufficient for long traveling. However, the price of $2000 may set you back as an individual user unless you are in military or industrial space that can easily get budget for device upgrade.